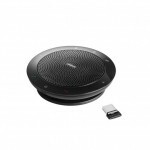 The Plantronics Calisto P610 Speakerphone (Also known as the P610) is a small speaker suitable for use with PC/laptop via USB cable. It's suitable for small meetings with 2 or 3 people gathered around. 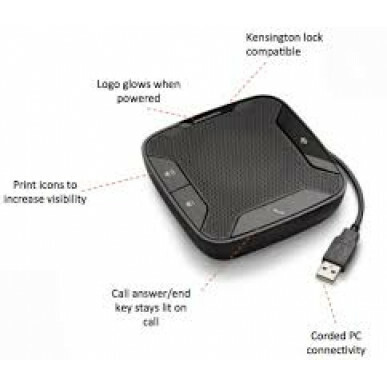 The P610 is a great tool to to instantly transform your computer into a high quality conferencing device. 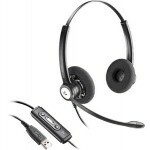 You can use it for Skype, Internet calling or listening to music. This Calisto has great quality PC wideband audio and DSP to reduce dropouts and echo. Bi-directional microphones pick up the speakers voice and help to block out extraneous noises. 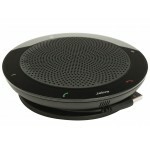 The speakers transmit 360 degrees so no matter what side of the desk you're on you'll hear your caller. The P610 comes with a soft carry case so it's well protected when you pop it in your laptop bag form your next meeting or business trip. This version of the Calisto P610 is NOT Microsoft Lync Certified. It is not related to the operating system of your computer. If you do have Lync software please go to the -M version. 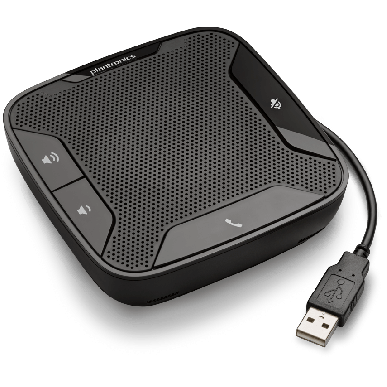 The perfect tool for impromptu conference calls, the Plantronics Calisto P610 is a portable USB speakerphone that instantly transforms your laptop into a high-quality conferencing device. Small and lightweight, the Calisto 610 provides professional-sounding audio wherever you touch down.